Venous thromboembolism, VTE, also known as blood clots, is an underdiagnosed and serious but preventable medical condition. It is important to know about VTE because it can happen to anybody at any age and cause serious illness, disability and in some cases, death. The good news is that VTE can be prevented and treated if discovered early. 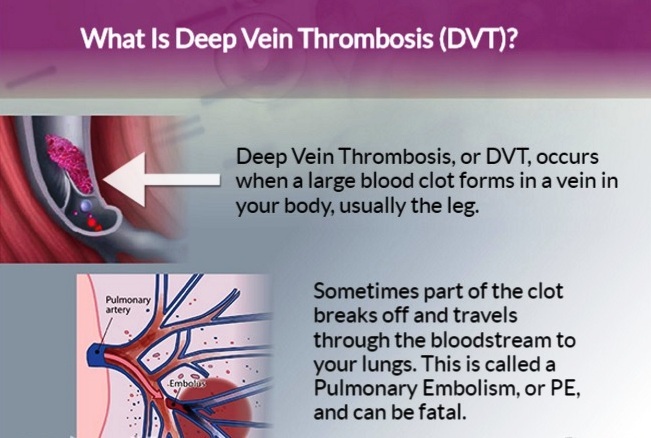 Deep Vein Thrombosis, DVT and Pulmonary Embolism, PE are also known as venous thromboembolism, VTE. 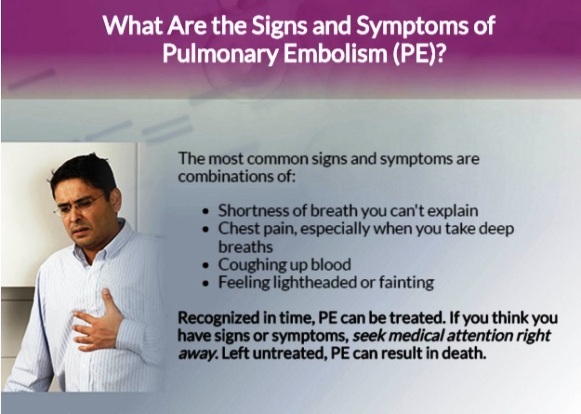 DVT and PE are both often underdiagnosed and serious but preventable medical conditions. 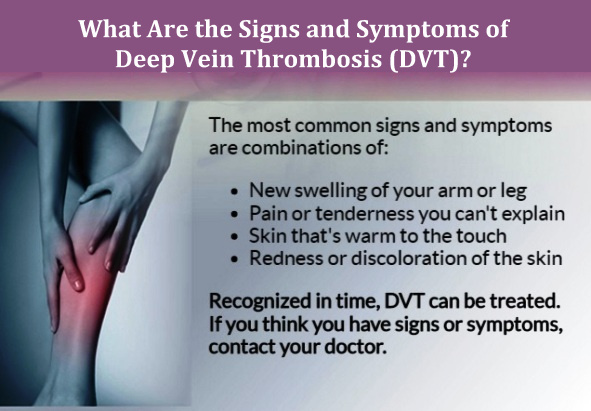 Deep vein thrombosis (DVT) is a medical condition that occurs when a blood clot forms in a deep vein. These clots usually develop in the lower leg, thigh or pelvis, but they can also occur in the arm. It is important to know about DVT because it can happen to anybody and can cause serious illness, disability and in some cases, death. The good news is that DVT is preventable and treatable if discovered early. For some people, DVT and PE can become a chronic illness. About 30% of people who have had a DVT or PE are at risk for another episode. • Medication (anticoagulants) to prevent DVT. • Get up and walk around every 2 to 3 hours. You can reduce your risk by maintaining a healthy weight, avoiding a sedentary lifestyle, and following your doctor's recommendations based on your individual risk factors.